People has been asking whether can they view Quora.com without signing up. In other words, can they bypass login to this popular question-and-answer site, Quora. If you do not intend to ask questions or help to share answers with the knowledge-sharing community of Quora, then you don't need to sign up as a member. Yet, you can still view or read all the answers to the questions of Quora. 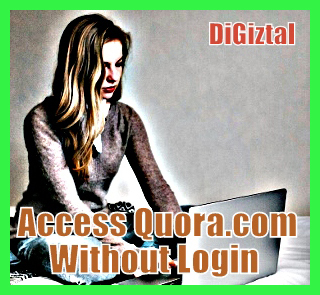 You don't have to install any add-on or any software to access all the questions and answers on Quora.com. 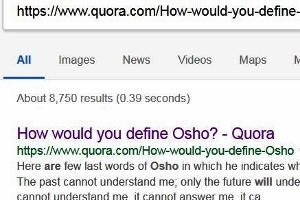 Normally, for Quora, if you are a non-member you can only view ONE answer. Unless you sign in into your Quora account or via Facebook or Google. 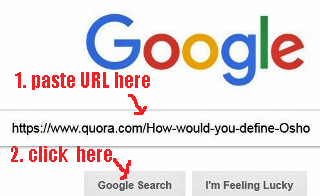 If you do not have an account with Quora, if you continue to view the following answer to any of the question, you find that you have been blocked by a white login-register box. And the whole Quora page will become out-of-focus in light-grey color. 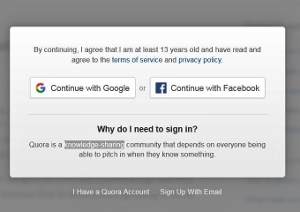 You can still continue reading all the content on Quora without having to sign up an account. One method which I have read is, by adding this tag: ?share=1 at the end of the Quora thread URL. 2. You just add ?share=1 next to the word "book". 4. Paste this new URL onto the Google address bar. 5. Press the "Enter" key of your keyboard. 6. Instantly you can view the page without any more obstruction by Quora sign-in page. Here is another method which I use it to read unlimited articles from NY Times, Wall Street Journal and Financial Times for free online. 1. When you encounter the login-register box, you highlight and copy the URL of that question. 2. It is on the address bar above the blocked page. 3. Now click on the new tab of your browser to open a new Google page. 4. Paste this URL onto the Google search box. 5. Click on "Google Search" button or press the "Enter" key of your keyboard. 6. Instantly you can see that question appeared on the Google search results. 7. Click on it and you can view the whole page with all the answers, without any obstruction. To read or view the next question, you just repeat the procedure as explained above. 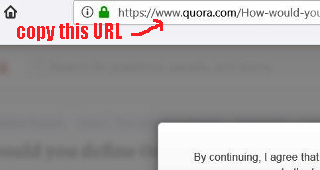 This is how you can read all Quora.com answers without signing in or bypassing the login.